The adventure film embraces different elements of the King Arthur legend. 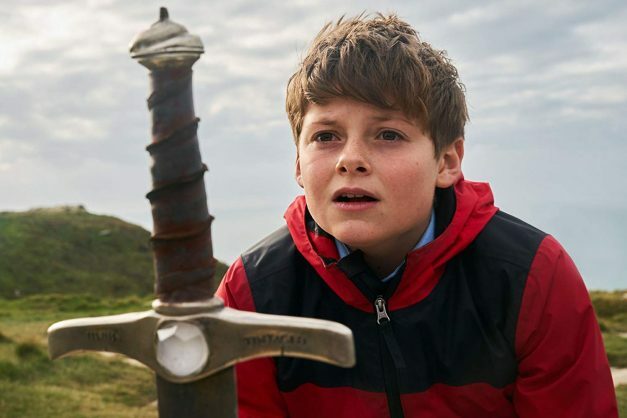 The Kid Who Would Be King is a pleasant enough fantasy for the younger generation in which the legendary tale of Excalibur is updated and given a fresh dimension, this time playing out in modern Britain. This is hardly the first time a group of adolescents have saved England from supernatural harm and what transpires here is hardly earth-shattering cinema. Writer and director Joe Cornish is known for Attack on the Block, his deceptively engaging inner-city alien-invasion debut in 2011. Eight years later, he provides a new narrative with bland characters, some scary computer-generated imagery creatures, and a message for the bumbling politicians of today. The key character is the dull 12-year-old Alex (Louis Ashbourne Serkis), son of performance capture pioneer Andy Serkis. Alex is polite and a well-spoken boy, though when his best friend Bedders (Dean Chaumoo) is bullied at school, he shows that chivalry is not dead and defends him. The bullies are Kaye (Rhianna Dorris) and Lance (Tom Taylor), who no doubt would have been dealt with had they existed in Harry Potter’s magical world. Oozing menace, Lance reminds the runty do-gooder that he’s the king of Dungate Academy and he must not forget it. After being chased by these schoolyard villains, Alex hides in a fenced off construction site where he discovers a well-worn sword wedged deep in a block of concrete. Pulling it free without trouble, Alex doesn’t realise that he’s the first person in centuries to touch Excalibur. It was last brandished by the long-dead Arthur and is now coveted by Morgana (Rebecca Ferguson). 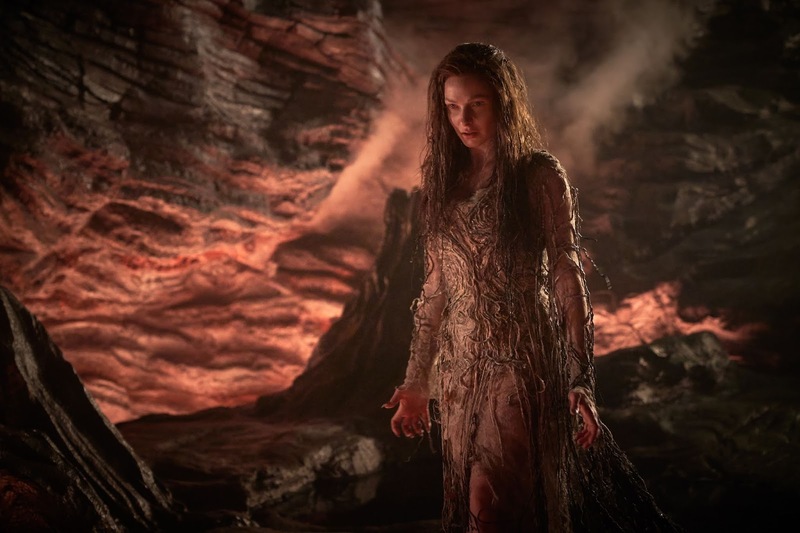 She’s an evil, seemingly immortal, shape-shifting enchantress who lies buried beneath the ground and uses her tendril-like roots to spy on the world above. She wants the sword desperately and deploys an army of undead knights to invade Alex’s little neck of England to retrieve the priceless object. Alex was brought up by a single mother (Denise Gough), and believes his absent father may somehow have been connected to King Arthur. That’s the assumption on which Alex chooses to accept the seemingly exclusive fate that has been thrust upon him. 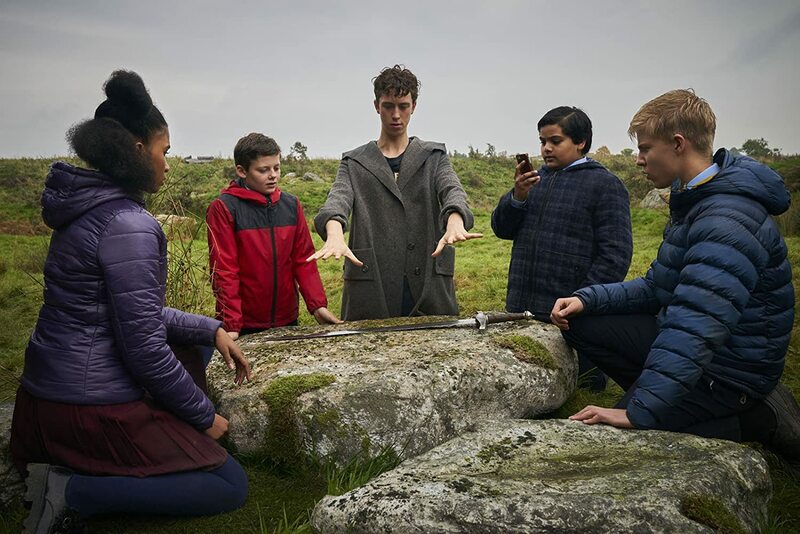 The adventure embraces different elements of the King Arthur legend, including an atmospheric trek to Tintagel Island in Cornwall (both home of Arthur and the director’s namesake) where a crop of trees come to life. Cornish never allows the production to get too dark, and by limiting Alex’s army to fellow students at Dungate Academy, he keeps it tight. Cast: Louis Ashbourne Serkis, Rebecca Ferguson, Patrick Stewart, Dean Chaumoo, Tom Taylor, Rhianna Dorris, Angus Imrie.